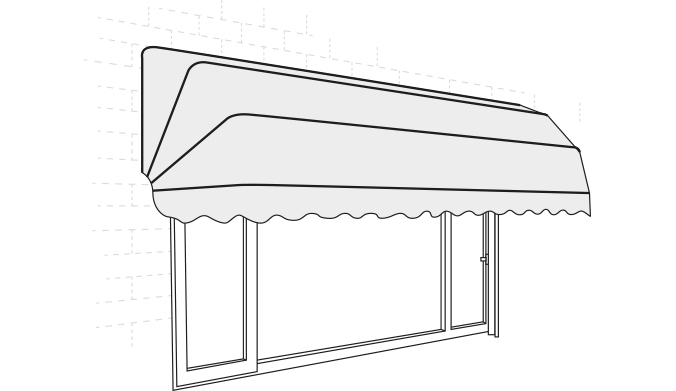 A canopy is a projection that provides weather protection, identity or decoration and is supported by the building to which it is attached and at the outer end by not less than one stanchion. A canopy is usually comprised of a lightweight frame structure over which a cover is attached. Here at Chapel Doors our window canopies are constructed from a lightweight yet robust corrosion resistant, extruded aluminium, polyester powdercoated framework and glass filled nylon components for durability and longevity. Corner braces between the outer legs and back and front cross members keep the framework rigid. 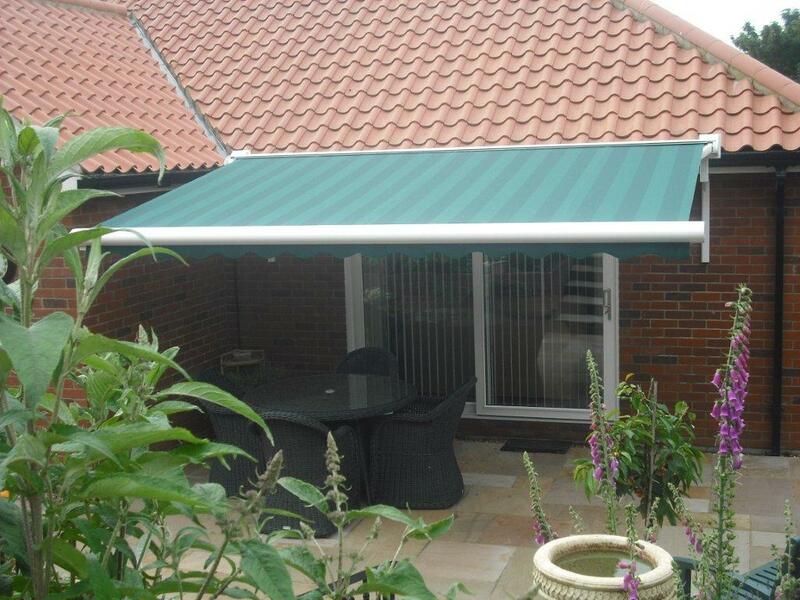 We can supply fit and install a wide range of canopies for your home to suit your requirements. 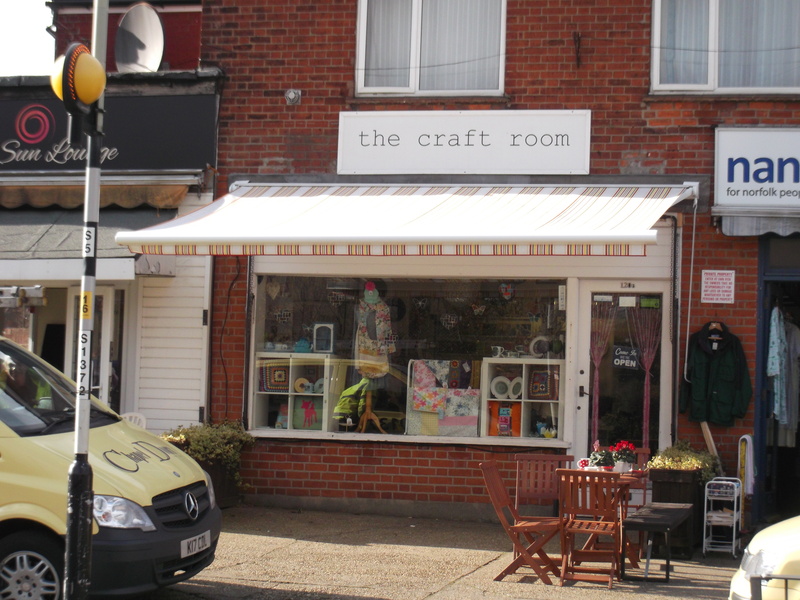 Whether youre looking for a patio awning, a sunshade for your conservatory, a covered outdoor area for family gatherings or an awning to help roevent the intrusion of low level sunlight into your home, here at Chapel Doors we have the knowledge and expertise to advise you on the most suitable awning for your home. So how are canopies made? 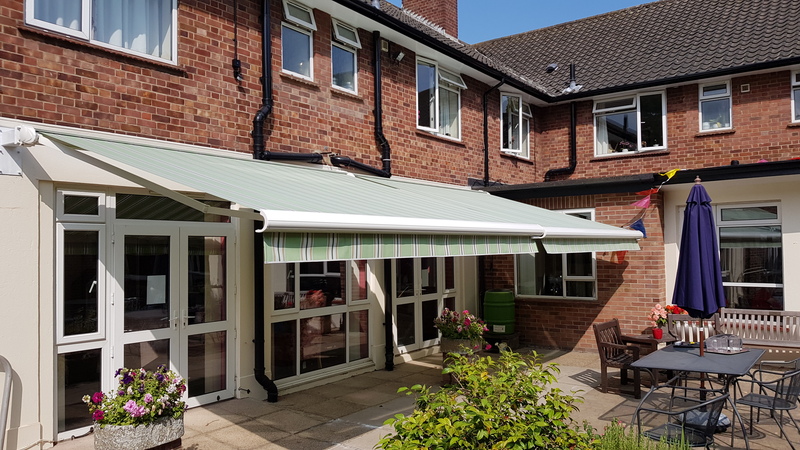 Equally sized fabric panels, ranging in size to ensure that as the canopy folds, the pleats of fabric that are formed are kept to a minimum whilst a third leg set, as standard on widths over 4m, prevents the canopy framework from bowing. An optional protective coverboard (recommended) offers good protection to the window canopy fabric from inclement weather when retracted away. 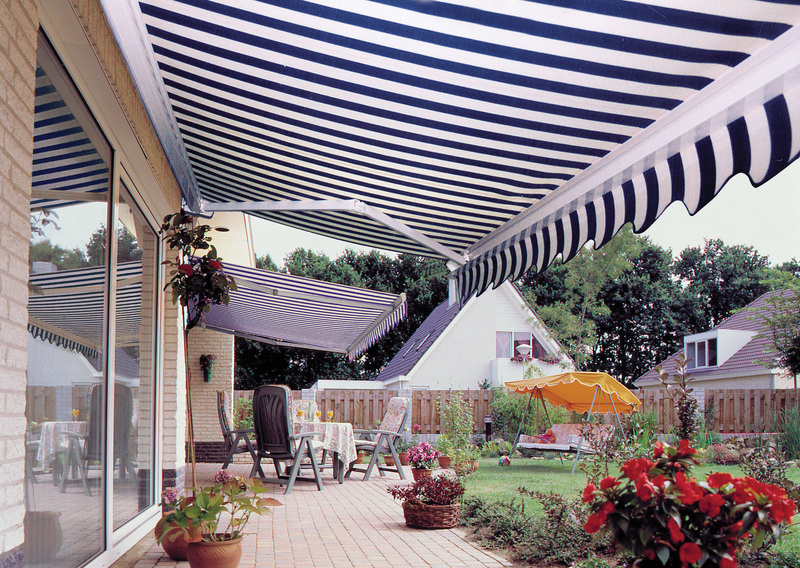 Canopies are used to provide shade over a seating area or within the home. 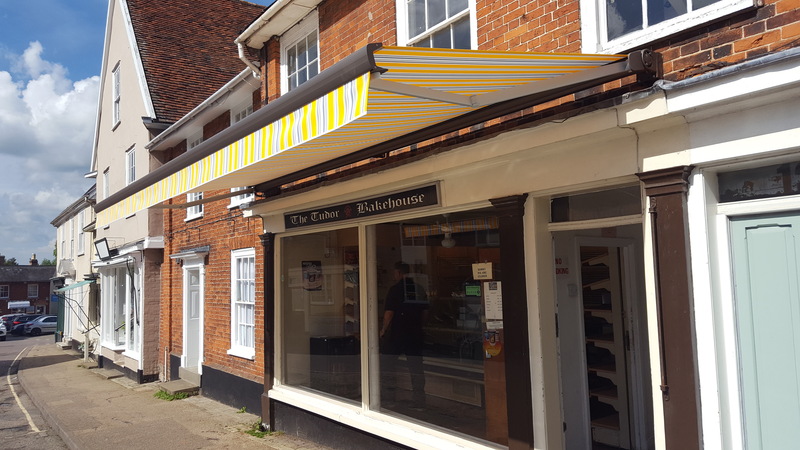 Situated as a fixed structure above windows, unlike an awning, canopies do not extend out over an area due their fixed in position nature. 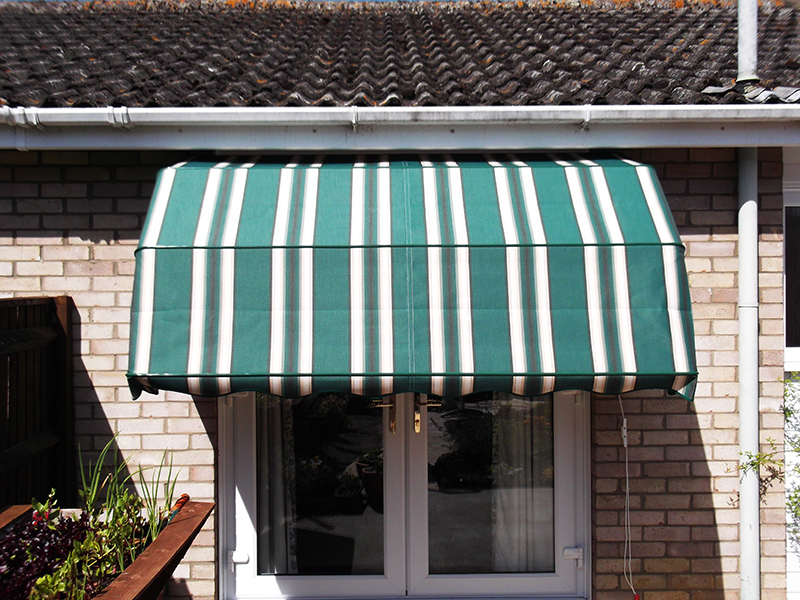 Canopies can enhance the overal look of your home all year round and bring colour and personality to your home. Canopies can come in a variety of sizes and shapes. 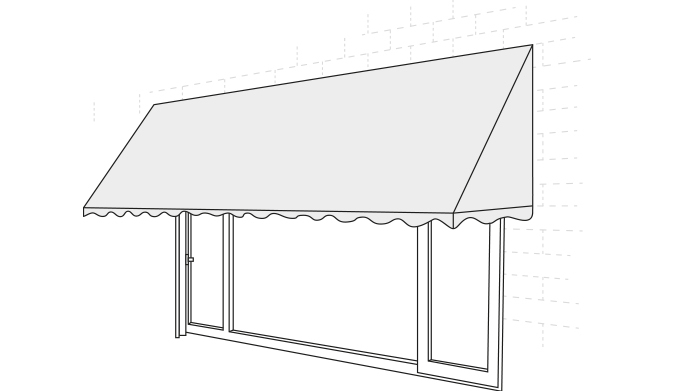 Typically canopies are used for all year round protection from sun, rain and snow. Anywhere where ideally you require an area that is protected from the elements.